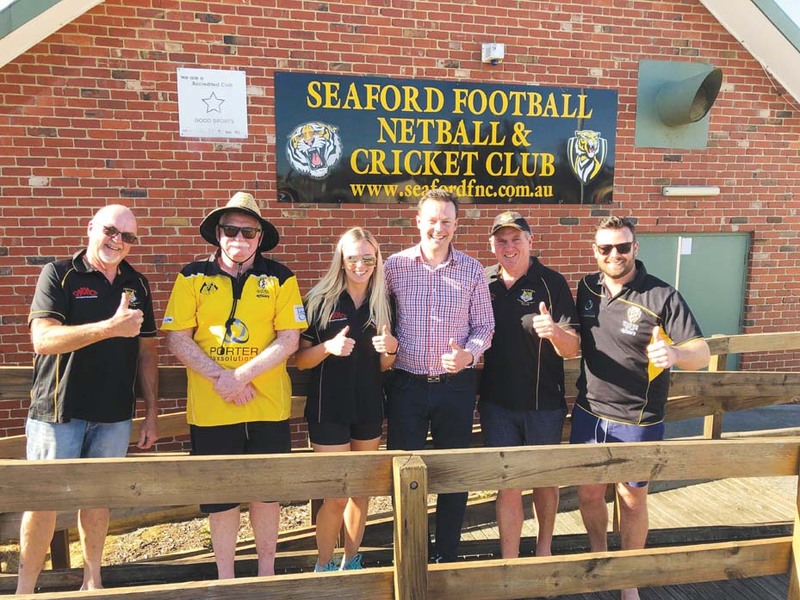 SEAFORD sports clubs are set to undergo a revitalisation as the last piece of their funding puzzle for a redeveloped home ground was secured this week. 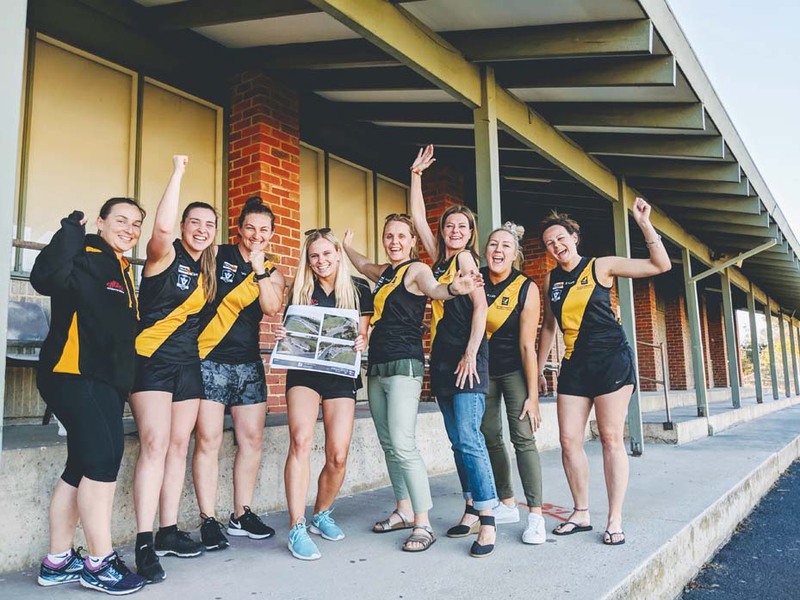 Work is set to get underway at RF Miles Reserve, home of Seaford Football, Cricket, and Netball Clubs, to revamp their facilities after $2.6 million in budgeted federal funding was announced on 18 November. The ground is currently out of use, having been taken over to complete level crossing removal works on the nearby train line. The club has been playing their home games at Belvedere Reserve in the meantime, which has caused a hit in attendances. Seaford Football Club spokesperson Phil Robertson said he hopes the works get underway as soon as possible so the club can return to their home by the start of the 2020 season. “Our footy club fielded 200 athletes on the field last year across football, netball, and womens football. We can’t accommodate them in this facility, it’s old, it’s outdated, it just doesn’t cut the mustard anymore. To have a facility that everyone can come together in, to support sport and be a focus for the community, to come here and enjoy supporting our athletes is really special to us,” he said. Netball club president Chelsea Robertson also said the work would be beneficial to the netballers that will soon play at the ground. “For the netball club it will be extremely impactful and important for us to be able to have facilities that are co located with our football club. To be able to train, play, and create a community hub for everyone to use and access will be fantastic,” she said. In addition to the $2.6 million budgeted by the federal Liberal government, both Labor and Liberal parties at state level have promised $2.6 million of their own. Frankston Council have chipped in $3.34 million and the Level Crossing Removal Authority have contributed nearly $4 million, meaning the full cost of the redevelopment has now been put together. The price for the total redevelopment was quoted by council as being $12.4 million. Dunkley MP Chris Crewther visited the ground on Sunday evening to announce federal government funding. 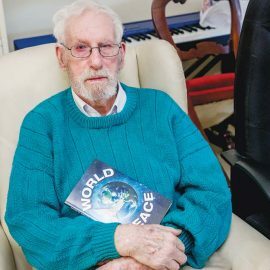 “I’m so pleased that we’ve been able to secure the final piece of this puzzle, with Federal funding totalling $2.6 million, adding to the $2.6 million already secured by Donna Bauer,” he said. “This funding ensures the delivery of the new multi-purpose sports pavilion and netball courts at RF Miles Reserve, along with the Seaford Football and Netball Club and the Seaford Cricket Club. Moments before Mr Crewther publicly announced federal liberal funding for the project, his Labor opponent for Dunkley Peta Murphy announced on Facebook that she too had secured $2.6 million for the redevelopment of the precinct if Labor take government at the next federal election. Ms Murphy later attended the ground to make the announcement on the same evening as Mr Crewther. Federal Labor support means that the project has received support from both major parties at both state and federal level, as well as the financial support of Frankston Council. I heard today that RF Miles is now going to be a carpark for Seaford Station and that you aren’t coming back. Is that true?